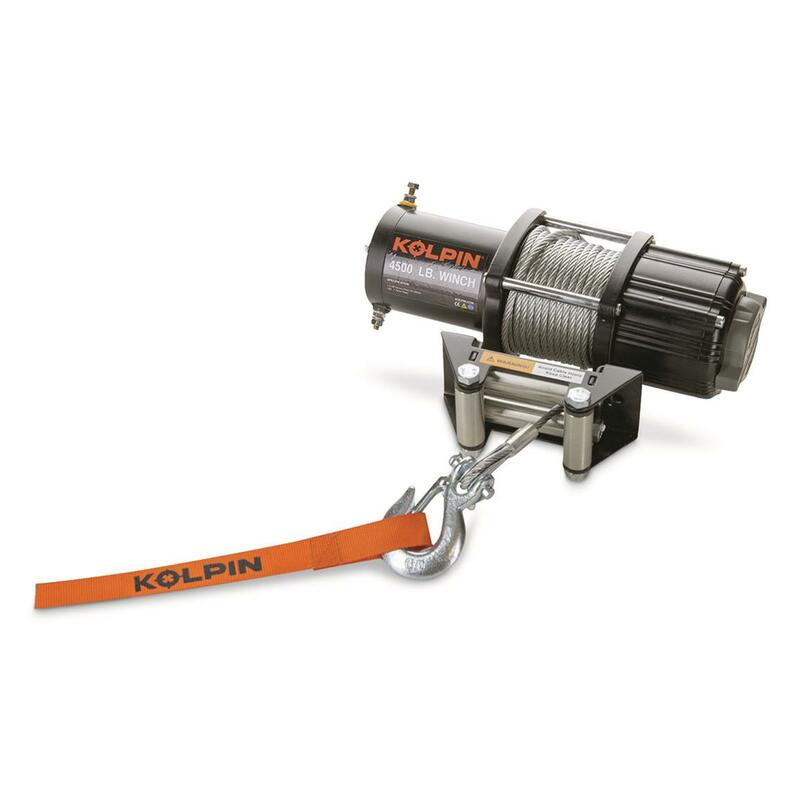 Get the pulling power you need to get out of any difficult situation with a Kolpin® Winch Kit. Internal gearing and all-steel, 3-stage planetary gear train provides smooth, reliable operation. Weather-resistant sealed drums and motor keeps out debris and a heavy-duty load relay protects the motor. Ergonomic dial to shift between free-spooling-to-clutch engagement. Pre-wound with 50' of steel cable installation is easy with mounting hardware, color-coded quick-connect wiring harness and heavy duty 6 or 8 gauge wiring.